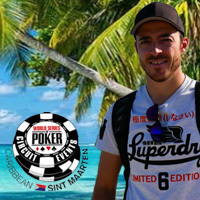 A group of online poker players that won satellite tournaments at Intertops Poker and Juicy Stakes Poker got a once-in-a-lifetime chance to play in a massive European poker tournament last summer. Tim O’Keefe from Texas, USA finished in the money, 22nd for a €6,490 pay day. Here he talks about free schnitzel and other Austrianisms he enjoyed in Velden as well as the first of two key hands in the tournament. Juicy Stakes online qualifier Mark Dufner recalls two key hands in the tournament.